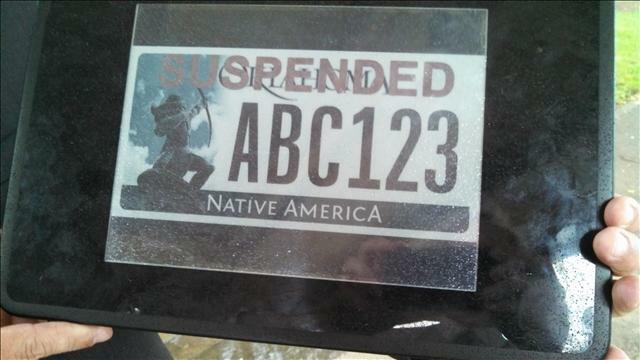 BRIGHTON, Mich. - A South Carolina startup company called Compliance Innovations has developed an electronic license plate that they are hoping to make available to vehicles across the country. While it is most likely to appear in California first, electronic license plates could be coming soon to a vehicle near you! These electronic plates still have quite a bit of testing to undergo, however, they are designed to replace your normal license plate. They will attach to your vehicle much like your current plate, but you'll be able to update it wirelessly when it's time to renew your registration. All you'll have to do is go online to renew your vehicle registration, at which point your plate will update. This makes it super easy to do on-the-go. With these electronic license plates coming soon to a vehicle near you, you'll be able to benefit quite a bit if you're the type to stay on top of all your registration and insurance information. If you're not, you'll be an easy target to police officers. These plates will reveal that your insurance has expired, or if your registration has not been renewed. While this may be a downside, one other positive to having electronic tags is that a stolen vehicle will be able to be spotted more quickly. Much like the picture above, a stolen vehicle will have the words 'stolen' across the top. As of right now, the electronic license plates will start to appear on vehicles in California by 2017. For the rest of the country, we will have to wait. Waiting won't be too hard though when you think of all the amazing technology available to you right now in our Ford vehicles. If you'd like to discuss all the technology options available, stop by our Farmington Area Ford Dealer today! We are more than happy to help you with all of your vehicle needs - Used Car Loans, Car Loans, technology questions, or New Ford Cars - we've here to help!